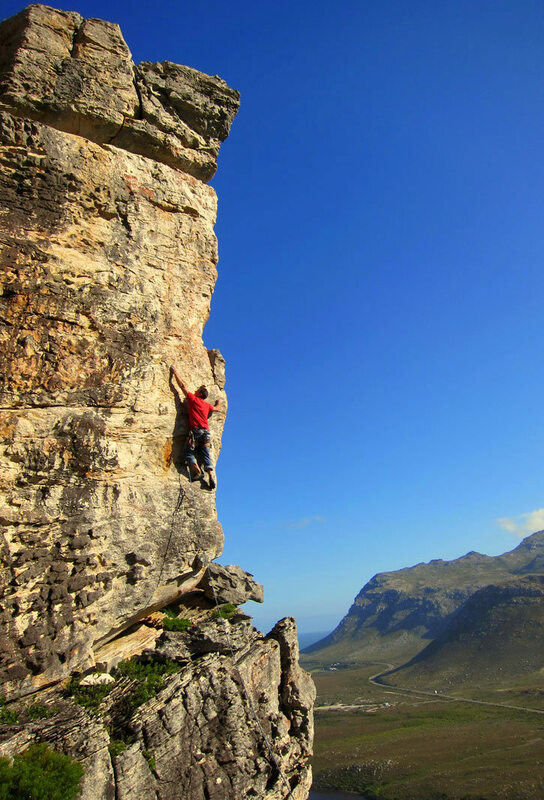 The Kleinmond Rock Rally returned this year under the organisation of Warren Gans from RAM mountaineering, and featured both sport climbs and boulder problems in the line-up for the first time. The format offered two categories; a normal "open" category allowing competitors to focus on sending the hardest climbs possible, and an "under grade 23" category for those planning a high volume day. The winning team in the "open" category, Team Jumar, consisting of Julia Chen and Marijus Šmigelskis, was the only team to climb both routes and boulders and won with a convincing margin. Both climbers managed to climb the hardest existing routes, "Percolator" 30 and "Wings of Glory" 28, as well as all of the hardest problems at the crag. Most impressive was the fact that Julia climbed both "Percolator" 30 and "Wings of Glory" 28 on her second try, and also managed a flash of "Talon Sanctuary" 7B. Visiting Tasmanians Claire and Kim climbed well to take second place.